Maui’s Billy Kemper won Sunday’s Peʻahi Challenge in massive 40-50 foot-plus surf conditions at the popular surf spot often referred to as “Jaws” along Maui’s north shore. 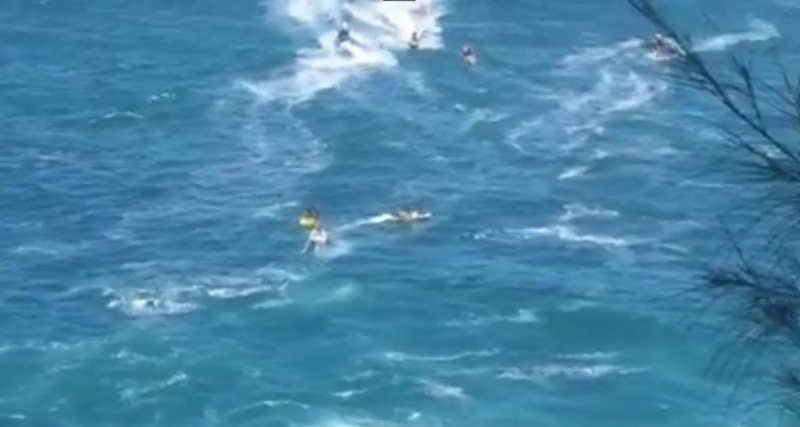 Surfers paddled into the swell with no-tow assist making the risk that much more daunting. 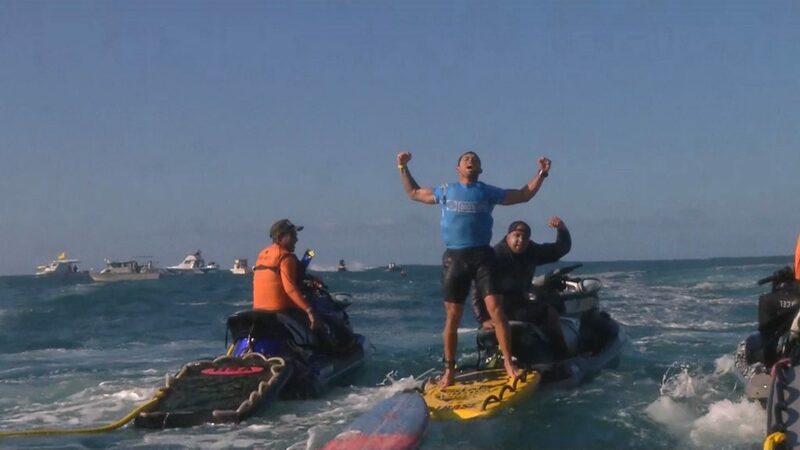 The Peʻahi Challenge is the second Big Wave Tour event to run in the 2015/2016 season and the first of the Northern Hemisphere window, according to the World Surf League. 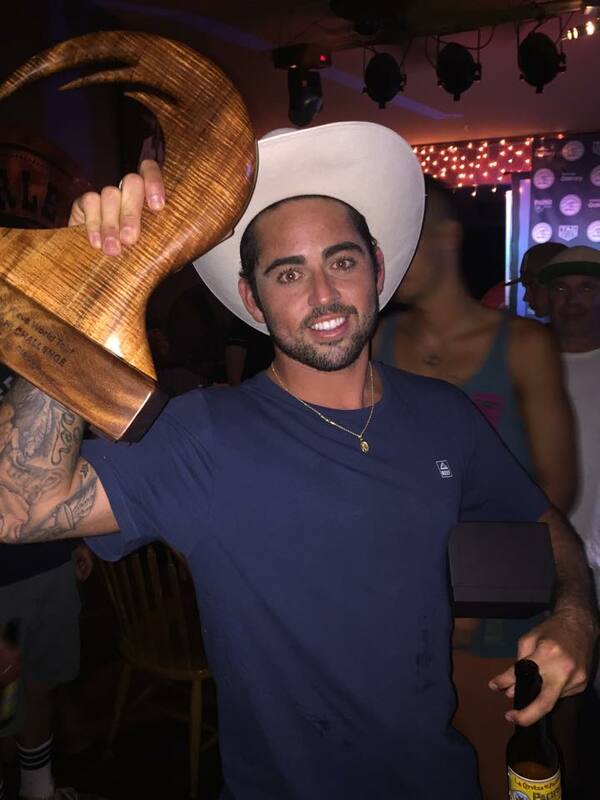 The WSL says that with the win, Kemper earned 15,625 points and is the current Big Wave Tour rankings leader. Massive sets rolling in at Peʻahi. Image shows one of multiple lost jet ski rescues. Image credit: Jack Dugan. 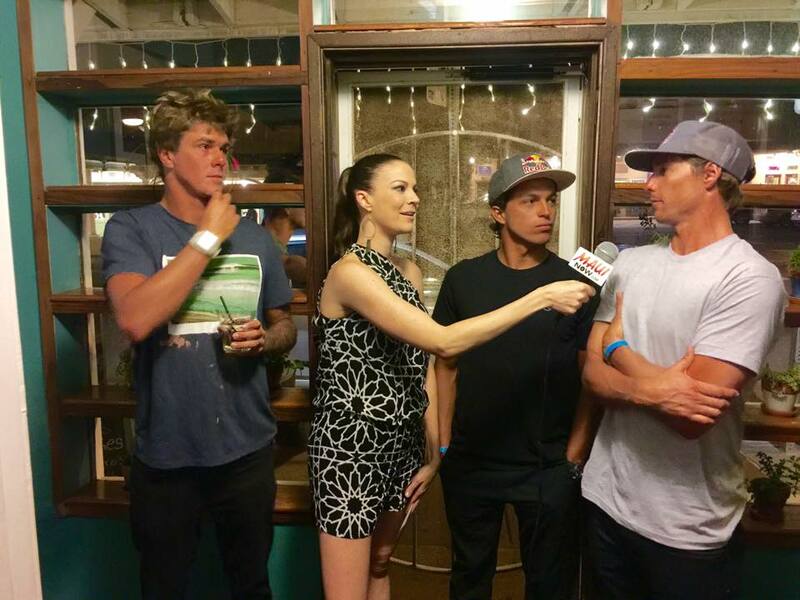 Malika Dudley interviews three of the worlds top big wave surfers (also Maui locals): Ian Walsh, Kai Lenny and Albee Layer (right to left). Photo credit: Jack Dugan, Kalani Prince. 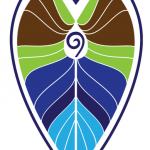 Malika Dudley interviews Peʻahi Challenge winner Billy Kemper. 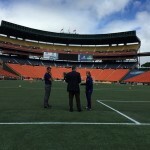 Photo credit: Jack Dugan, Kalani Prince.